Why Have I Changed My Mind About Marijuana? Sanjay Gupta – a recognized American physician and chief medical correspondent at CNN. In 2008, after the first election, Barack Obama was considering his candidacy for a post of Minister of Health, although at the time he was only 39 years old. Neurosurgeon by specialization, for years he opposed the use of cannabis for medicinal and recreational purposes. Currently, his opinion has changed dramatically. In 2008, Gupta was working on a new documentary \”Weed\”. The title may seem to be simple and cause sneering attitude, but the content is out of keeping with it in full. The film is based on the author\’s travels around the world and interviews with leading experts, producers of cannabis and patients. Conversation is frank, questions are difficult. Gupta admits that he was startled at the information he had learned. Even before the start of the project, he became acquainted with therapeutic cannabis scientific research conducted in the United States. In 2009, The Time magazine published his article \”Why I Would Vote No On Pot\”. Today, the author is willing to apologize. Gupta apologizes for not having investigated this issue in more detail, not having learned articles published by small centers in other countries, the results of research, and “did not hear” voices of real patients. He admits that he considered them as simulators who just want to smoke weed. In addition, Drug Enforcement Administration qualified marijuana as one the most dangerous drugs \”with no medical use and with high potential for abuse,\” as it was represented on the basis of reliable scientific data. The author admits that today he believes that there are no scientific evidences which allow banning the use of cannabis for medical purposes, and the objections are not true. The probability of being hooked on marijuana is minimal, while there are very strong evidences that it can be used for therapeutic purposes. In fact, marijuana is sometimes the only remedy that really helps people. For example, Charlotte Figi from Colorado has suffered from epileptic seizures since her very birth. At the age of three she has experienced up to three hundred seizures per week, despite the fact of taking seven different medicines. Medical cannabis has calmed her nervous system and reduced the risk of attacks during the current two-three months. Sanjay Gupta has met many patients such as Charlotte and realized that it was absolutely irresponsible not to give them the very best that really helps – cannabis treatment. He believes that since the seventies the population of the United States has been misled systematically. He apologies for taking part in such a misinformation campaign and hopes that his article and the upcoming documentary will clarify the situation. In 1970, on the recommendation of Dr. Roger A. Egeberg, Assistant Secretary for Health and Scientific Affairs in the Department of Health, Education, and Welfare, marijuana was classified as a high risk drug, on one level with heroin. Gupta began his research with a thorough review of the recommendation. Marijuana was classified as the most harmful drug not because of the proper research, but due to the lack of the last! Egeberg mentioned that researches were carried out, but many of them had not been finished. Investigating, Gupta came to the conclusion that even then Egeberg had had some important 25 years old studies. In 1944, New York Mayor Fiorello La Guardia commissioned the New York Academy of Sciences to explore the subject of cannabis. Such conclusions were among the results: marijuana is not addictive in the medical sense, the researchers found no evidence that its use can lead to abuse. 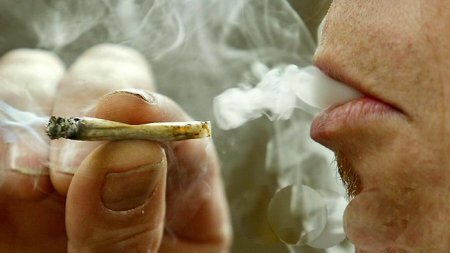 According to various estimates, marijuana can cause addiction in 9-10% of adult consumers. In comparison, the use of cocaine, a substance that belongs to the second category and is characterized by a lower abuse potential than cannabis, can cause addiction in 20% of consumers, heroin – in 25%. Tobacco is considered to be the most harmful in this context. 30% of consumers are abused. Many of them are carried off by this affordable drug. It is impossible not to take into account the existence of evidences that sometimes marijuana causes mood and physical symptoms such as insomnia, anxiety and nausea. The real risk of abuse still exists. But the physical symptoms of marijuana abuse are nothing compared to the substances listed above. For example, withdrawal symptoms after alcohol abuse can lead to a life threatening situation of an abused one. The brain which is in the development stage is more prone to damage than an adult`s brain. Some recent studies show that regular use of cannabis in adolescence leads to a permanent IQ reduction. Studiespointtothegreaterchanceofpsychosisdevelopment. 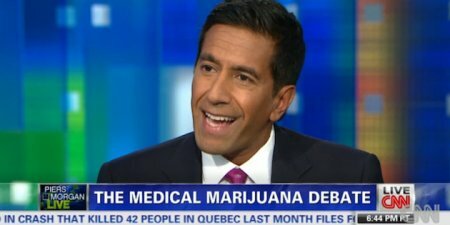 Investigating, Sanjay Gupta realized that medical cannabis was not something new. It is mentioned by many doctors. There are hundreds of articles, which mostly confirm the beneficial properties of cannabis. Many of these articles were written in the period from 1840 to 1930. In particular, these articles refer to use of cannabis in the treatment of nerve pain, seizures, and malnutrition. Simple mathematical calculations led the author to a conclusion that only about 6% of current cannabis research in the U.S. focuses on the beneficial effects of cannabis. The rest study the risks. This discrepancy may be an indication of that the view of the public and professionals on the subject is distorted. The study of marijuana requires two important things. First – marijuana. But it is illegal in the United States and scientists can hardly get it at a government farm in Mississippi. This farm is owned by a local university. Gupta says he has been there this year and no cannabis was found. The second thing you need – is a permission to conduct a research. Scientists tell it is a tedious process. While a cancer research must be approved by the National Cancer Institute (NCI), a study of anesthetics effects must be endorsed by the National Institute of Neurological Diseases (NIND), the study of cannabis use in these areas requires additional authorization from the National Institute on Drug Abuse (NIDA). However, the activity of this organization aims to study the danger of drug abuse, and not the possible therapeutic use. 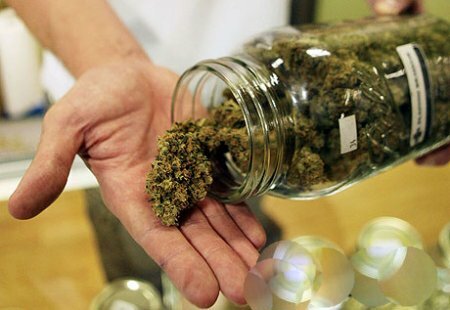 It is a dilemma for those patients who need marijuana for medical treatment. Quite often it is their last chance. In addition, it is worth to take into account the historical fact that in 1943 medical cannabis was used by the U.S. Pharmacopoeia. Cannabis was prescribed to treat neuropathy, for example. Neuropathy causes terrible pain that is difficult to treat. Patients describe the pain as a \”stinging, burning and pricking by thousands of needles.\” Although it is known that marijuana can effectively relieve the pain, doctors still prescribe opioid analgesics such as morphine, Oxycodone and Dilaudid. This is a problem because many of these drugs have no effect on pain, and develop addiction and dependence as time goes. Statistic is frightening. Every nineteen minutes one person dies with overdose of prescribed drugs unintentionally in the United States. Every nineteen minutes. This is a terrible number. Gupta says that despite the targeted search he has not found a single case of death caused by marijuana overdose. It is therefore not surprising that 76% of doctors, according to a recent survey, would have prescribed cannabis to women with breast cancer who are suffering from pain, for example. When marijuana was classified as the first category drug, it was argued by the requirement to fill the gaps in knowledge. In the United States, however, filling these gaps is impossible due to the bans. Especially it concerns the need to obtain consent to study cannabis at the organization that is focused only on the monitoring adverse effects of drug use. Despite all the obstacles researches are being conducted. 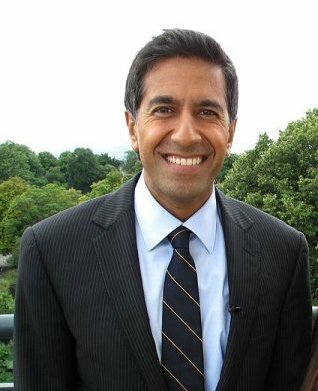 Sanjay Gupta is interested in the results of studies conducted in Spain and Israel, where the anti-cancer effects of substances contained in marijuana are being studied. Professor Raphael Mechoulam from Israel explores the possible neuroprotective effects. Scientists in Israel and the United States are finding out whether cannabis alleviates post-traumatic stress disorder (PTSD). The author assures us that he will use his best efforts to study this issue, all the more so that the citizens of twenty U.S. states and Washington D.C. have already approved the medical use of cannabis. The others will join them soon. Dr. Roger Egeberg, the author of the above article of 1970, who classified marijuana as a dangerous drug, died sixteen years ago. I wonder would he change his mind if he was alive today?